Fall is falling upon the east coast of America. Which means, for me, each day is getting colder and colder. This cold reminds me that I am constantly looking for fashionable ways to "fall" into the low temperature with pure confidence. 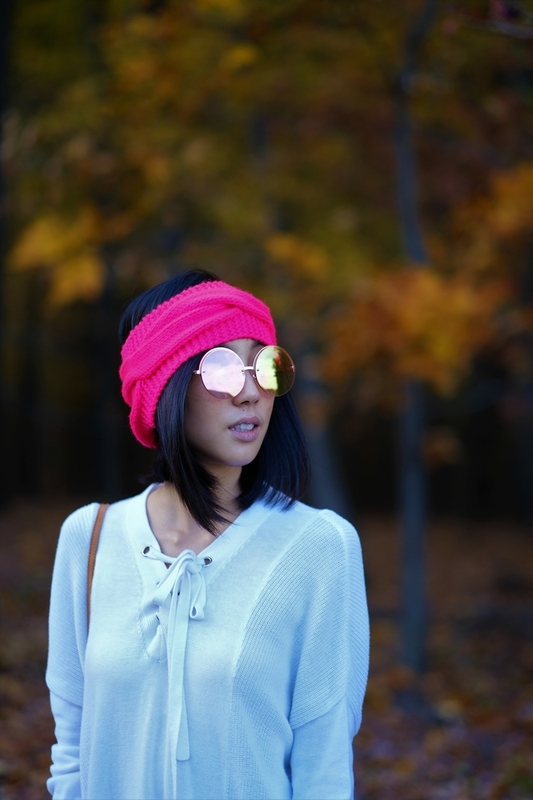 Recently, I bought this pink ear warmer off of an etsy shop called MizMyung. I am truly in love with my new ear warmer. It is a vibrant pink color that perfectly compliments my jet-black hair. What I love most about my new Fall/Winter accessory is that it keeps me warm while keeping me fashion-forward. For anyone looking for a stylish and unique way of keeping warm, I highly recommend MizMyung's shop. jewelry; Modern Gents Trading Co., Ritani, Pandora, Perry Null, Trading Company, Tiffany & Co.